One of the most underrated of all ‘60s bands, the puppy-dog earnest The Lovin’ Spoonful sounds better and better as the 20th Century fades from view. This was their 3rd album, issued late in 1966 and the first containing all originals, many of which are stamped indelibly into the brains of Baby Boomers. 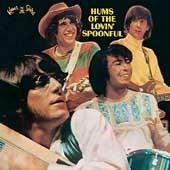 The band combined folk, rock, jugband, country and of course, the influence of The Beatles. Ry's son Joachim started stringing tracks together last year attempting to create a cohesive picture of his father's soundtrack work- one which would sound like more than just a series of unconnected cues. Ry liked what he heard and this long overdue project was born. 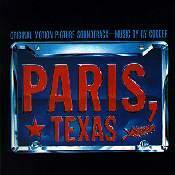 The two CD set contains highlights from most of Cooder's soundtracks: Paris Texas, Alamo Bay, The Border, Blue City, Crossroads, Johnny Handsome, The Long Riders, Blue City, Trespass, Geronimo: An American Legend, and the unreleased Southern Comfort and Streets of Fire. 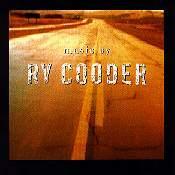 Beginning with his eponymous 1970 debut, and continuing throughout eleven Warner Brothers solo albums, Ry Cooder has demonstrated that in addition to being an extraordinary folk/blues guitarist- particularly on bottleneck, and a serviceable, though hardly distinguished vocalist, he is also a high caliber musicologist and A&R man. While Cooder’s specialty has been mining the more obscure tributaries of the rich vein of American music deposited during the Great Depression, he has also unearthed musical riches from around the world, particularly the Caribbean and Mexico. His solo albums are sprinkled with unknown and out-of-the-way delights like Dickey Doo's "Teardrops Will Fall" and the calypso "F.D.R. In Trinidad"- as well as some better known songs like "One Meat Ball", Woody Guthrie’s "Vigilante Man" Huddie Ledbetter's "Teardrops Will Fall", The Drifter’s 1954 hit "Money Honey", and Johnny Cash’s "Hey Porter". Once a flop, always a flop? 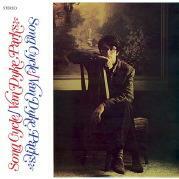 Song Cycle dominates the Van Dyke Parks discography the way "Citizen Kane" overshadows Orson Welles' cinematic output. That simply cannot be denied, though Welles created other outstanding films- "The Magnificent Ambersons" and "Touch Of Evil" for example. It is difficult to grasp the date this session was recorded: December of 1956. That makes it almost 50 years old. 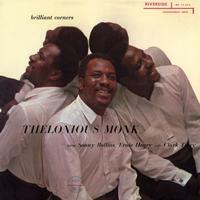 Yet the music is as utterly fresh and full of surprises and good humor as it was in 1956. And the sound remains vibrant and full bodied as well; the highs extended and crisp, the transients sharp and clean. In fact, this double 45rpm set positively kills the Riverside original in every way: I know, because I’ve owned a copy since the mid ‘60s. During my first year at Cornell in 1964, either Riverside was going out of business or needed some quick cash, because the book store had what seemed like the entire Riverside catalog on sale for $1.98. I bought as many as I could afford. Friday afternoons around 4PM, after a hard week’s schooling back in 1968, my roommates and I at Cornell University engaged in a particular ritual: one of us would go into the garage behind our rented house and retrieve our well-hidden pot “stash.” The most skilled roller amongst the 4 of us would produce a doobie, and then we’d smoke away our tensions while listening to? 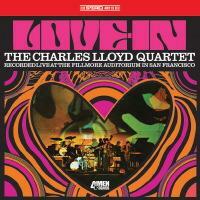 Charles Lloyd’s Forest Flower (Atlantic SD 1473), recorded live at the 1966 Monterrey Jazz Festival. For once, all of the hype is justified: Kathleen Edwards is a genuine, fully formed musical force. Failer, her debut, delivers everything one could want from a record except great sound, but that one failing will not interfere with the pleasures to be derived from this 10-song gem recorded on a shoe-string budget. The 24-year-old Canadian mid-tempo rocker/singer/songwriter has been compared to Lucinda Williams, but Neil Young backed by Crazy Horse is more apt in my book. While this much-loved Blue Note lists Adderley as the group leader, this pick-up session--recorded in 1958, just before Kind of Blue--sounds, for the most part, as if Miles Davis is in control: or at least that his sensibilities at the time had deeply influenced Adderley's musical thinking. With Hank Jones on piano and the rhythm section of Sam Jones and Art Blakey, whoever is in charge leads the group through a set of three standards ("Autumn Leaves," "Love For Sale," and "Dancing in the Dark") and two originals (Nat Adderley's funky "One For Daddy-O" and Davis' own "Somethin' Else"). This odd scenic detour on Herbie Hancock's career path is well worth visiting 36 years later, both because of the intrinsic value of the music he created for the movie and because it resonates so effectively with the current interest in the "swinging '60s" popularized by (and sent-up in) the Austin Powers flicks--though on a far more cerebral plane than Powers could ever hope to reach. 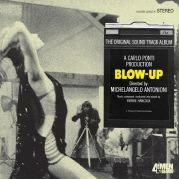 These culturally repressed and repackaged, often dead-ended times make looking back at Blow-Up--the movie--all the more alluring for its promise of excitement, sexual liberation, and a progressive changing of the socio-sexual guard.